YAY! Welcome to Day One of the Ultimate Blog Tour Extravaganza! I just want to thank, with all my heart, Dave at @The_WriteReads for organising this epic blog tour and for giving me the honour of being a part of it! 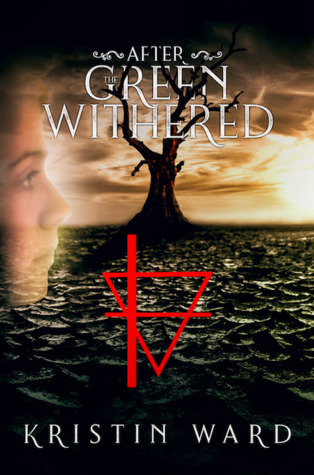 After the Green Withered by Kristen Ward surprised the hell out of me. A dystopian Young Adult novel exploring a world that is slowly slowly becoming a probable reality for us, where water is currency and the Earth is literally facing mass extinction. It focuses on the character of Enora Byrnes, a seventeen year-old woman who becomes the shadow for the global governing authority, the DMC Corporation. What follows is an edge-of-your-seat type of narrative, that engages you till the very end and makes you seriously question the notions of morality and privilege. In terms of the narrative itself, it was incredibly well thought out and detailed. At times though, the detail and explicit description of the environment, etc. was a touch too much but I understood the reason as to why this was emphasised so much as it is such a fundamental aspect to the overall story. The flow of the story worked incredibly well and it literally forces you to emotionally invest in the characters and within this world. The reader is immediately introduced to a world of wastes, on the brink of extinction. The world is now under the control of the DMC Cooperation, practically a police state where your every move is watched and every town is a heavily guarded fortresses. The population is defined basically into two tiers: the poor and the privileged. The contrast between the poor and the wealthy is extreme and the currency of this world is water. The concept of water being currency, the fact that the world’s water is literally a stipend and needed to be regulated actually terrified me. The power of this novel lies in the fact that the possibilities of this happening to our own world actually exists. What follows, and I won’t be giving spoilers, is a story that focuses on the actions of Enora Byrnes, a seventeen year-old young woman who, immediately upon graduation is recruited to work for DMC. She is in charge of eliminating threats to the global government, those who go against the authority of the Company. She undertakes a journey really exploring the grey area of morality. She eventually moves towards attempting to figure out who actually rules the governing authority, who the DMC is and that takes her to this thrilling and utterly terrifying underbelly of the global government. Honestly, you won’t be disappointed by the absolute riveting journey of Enora. And can we just, for a minute, scream about that cliff-hanger of an ending?! IT KILLED ME. Overall, After the Green Withered emphasises the truly horrifying realities of climate change, greed, corruption and privilege. At times I did find it wordy and and overly descriptive, I felt as though the dialogue could have been lengthened instead of constant description. I also thought that the writing could have possibly done less describing or being told what was happening and just shown to the reader throughout the writing itself. However, I did not overtly detract from my ability to be engaged and immersed within the story and I rate it a 3.5 out of 5 stars. I definitely recommend it to readers who enjoy dystopia such as the Divergent series, would absolutely adore it! Be sure to check out the other bloggers on this tour. I will leave the details of the blog tour down below! Until next time! Happy reading. Kristin Ward has loved writing since middle school but took thirty years to do something serious about it. The result is her Best Indie Book Award-winning novel, After the Green Withered, followed by the sequel, Burden of Truth. She lives in a small town in Connecticut with her husband, three sons, and many furry and feathered friends. A SciFi geek to the core, she is fuelled by dark chocolate and coffee and can be heard quoting eighties movies on a regular basis. You can find her here on Twitter and here on her Website. Great review, Allie! It’s a fascinating concept for a dystopian novel. I have only read the 1st chapter (I’m on the blog tour on the 4th – but I’m not on your banner cos I was missed off somehow) but I thought it was impressive. I did think the opening could have got us right into the action first, and do the explanatory stuff later.